We, the Bus Drivers of Rock Point Community School, are here to provide a safe transportation for our students so that they can make the most of their educational opportunities, so they can become a productive individual in the Society. 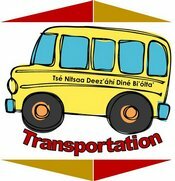 Above all our commitment to their safety is that we provide all students with the best transportation and that they will enjoy and treasure all that we did for them while they are in our hands. If you need to contact our office, we can be reach at (928) 659-4221 ext. 500/502.